Day #1: Our time in Vegas started with the Worldwide Wing Eating Championship. The world’s top-ranked professional eaters arrived in Vegas and were preparing for the competition. Joey Chestnut, fresh off of a victory in the Nathan’s 2016 Hot Dog Eating Contest, was back in Sin City and ready to take back the title taken from him last year by Matt Stonie, who knocked out an impressive 241 Hooters wings in 2015. Before the competition began, we ran over to KTNV with Stonie to talk about his competitive eating background and the significance of the Wing Eating title. 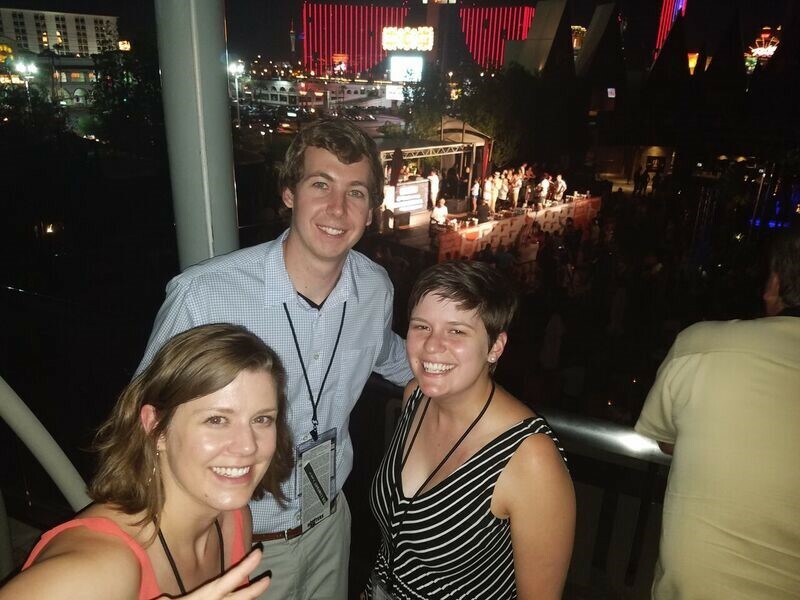 Following the interview, we arrived back at the Palms Casino to help reporters from Las Vegas Sun, Las Vegas Weekly and other outlets cover the competition as Chestnut reclaimed the Wing Eating belt with an impressive 194 wings. Day #2: Time to gear up for Pageant! We continued pitching media to cover the pageant and coordinating credentials as reporters arrived in Vegas. That night was Pageant Preview, where all 80 contestants took the stage wearing self-designed outfits inspired by their hometowns – four of which represented our home state of North Carolina. Day #3: After months of preparation, it was time for the 2016 Miss Hooters International Swimsuit Pageant. 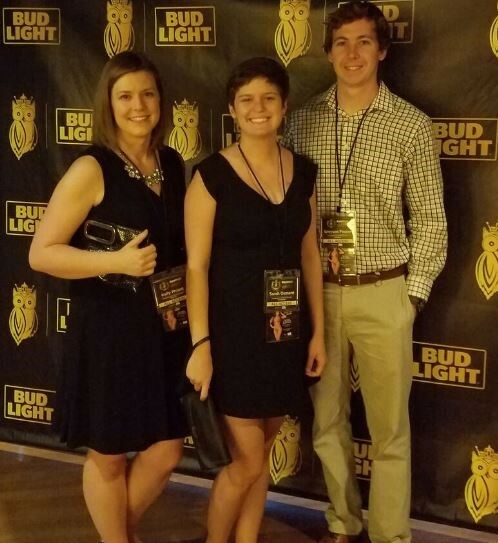 Contestants were preparing for a night they’d never forget while our team spent the day coordinating both on and offsite interviews and ensuring the theater and event crew were prepared for attending media. 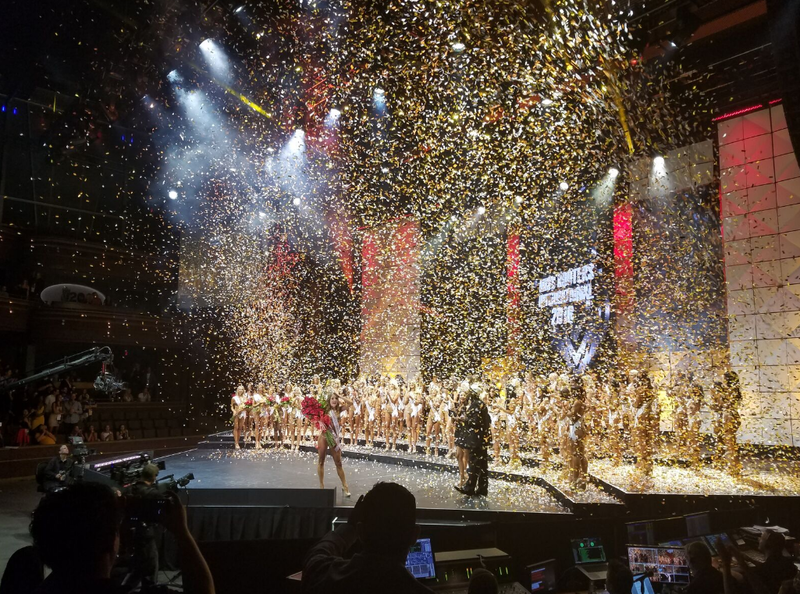 By the time Pageant kicked off at 8 p.m., reporters from both local and national outlets were present to witness the crowning of 2016 Miss Hooters International, Sable Robbert. All of the preparation and execution that went into our week in Vegas can’t fit into a single blog post. To put it all into perspective, thousands of people from around the world were able to make the trip to experience the week in-person, but even more were following along at home. In total, 92 stories from online, print and broadcast media reached approximately 165.6 million people across the globe, giving them an all-access pass to this incredible week.